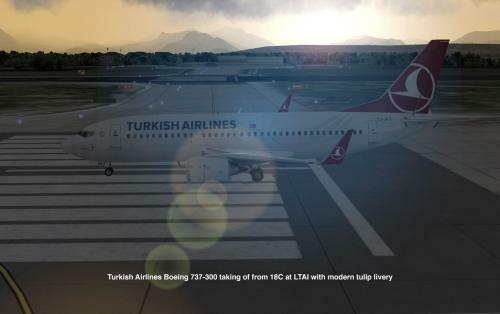 This package includes 2 Turkish Airlines liveries for IXEG's 737-300. 2- Modern Turkish Airlines Livery with the Tulip icon and Star Alliance logo. Unzip and copy the contents of the file to the aircrafts Liveries folder.